Wheeler Mission helps the homeless in Indiana. 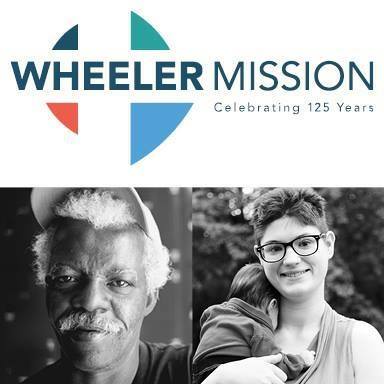 Wheeler is a non-denominational, Christian, social services organization, which provides critically needed goods and services to the homeless, poor, and needy of central and south-central Indiana without regard to race, color, creed, national origin or religion. Wheeler is not a church, but does cooperate with many different churches that are concerned about poverty and homelessness in the inner city. Founded in 1893, Wheeler is the oldest continuously operating ministry of its kind in the state of Indiana. With nine locations, dozens of ministries, a budget of over $11 million, and 180+ employees, Wheeler is also the largest and most diverse ministry of its kind in the state.